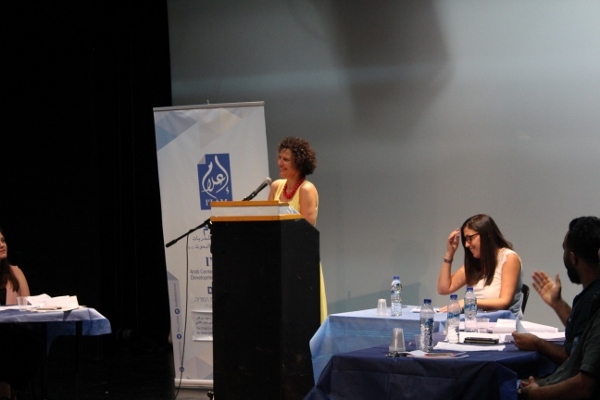 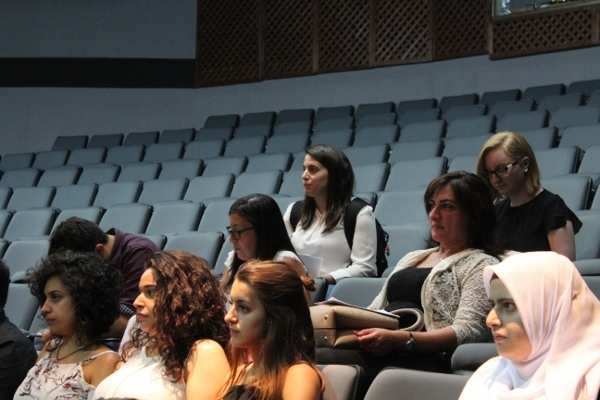 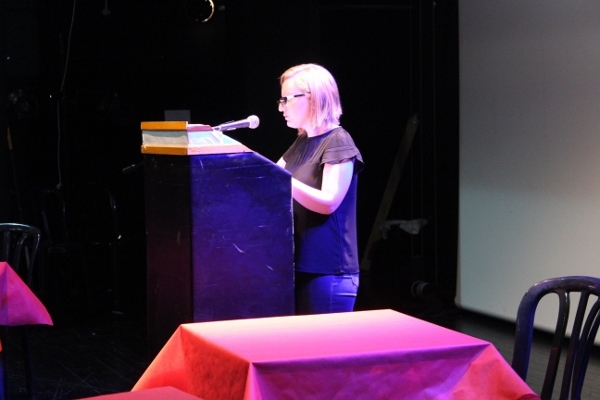 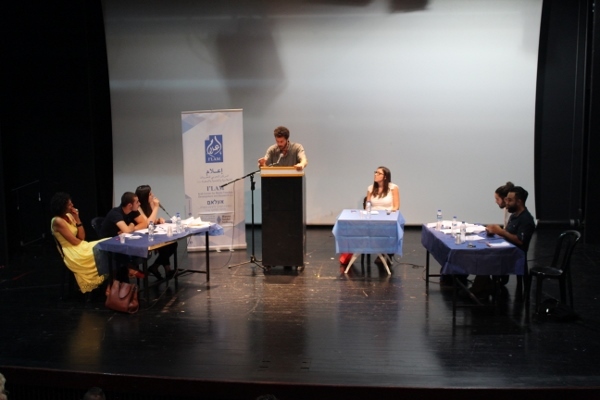 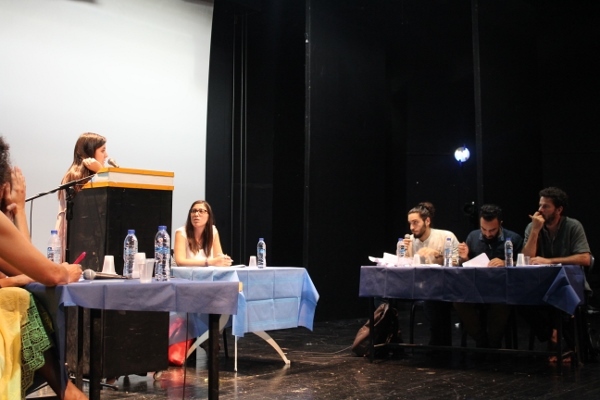 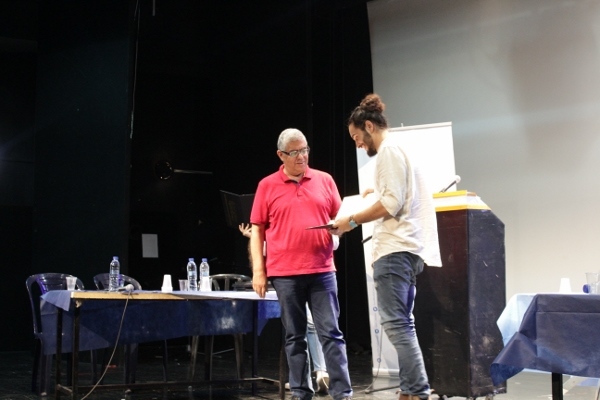 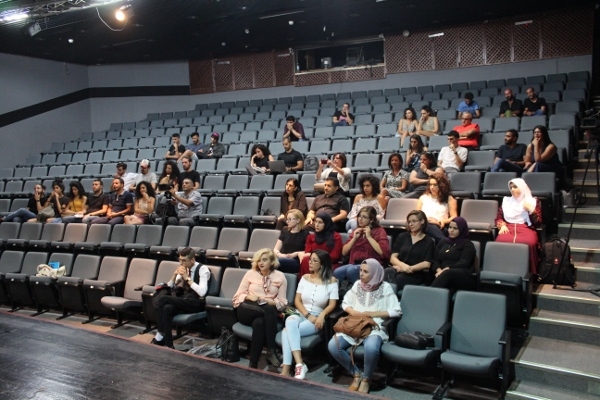 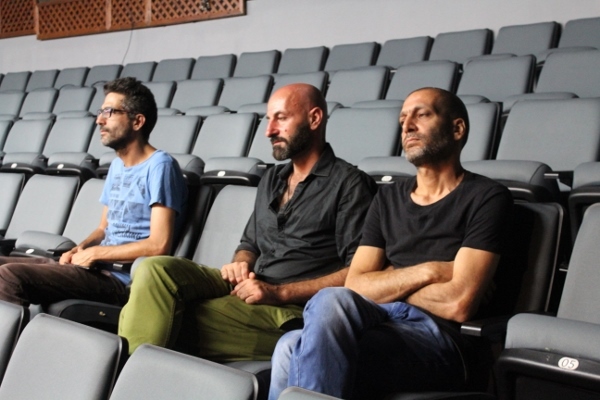 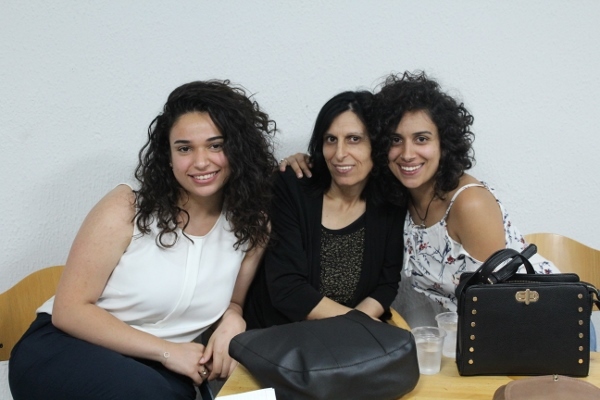 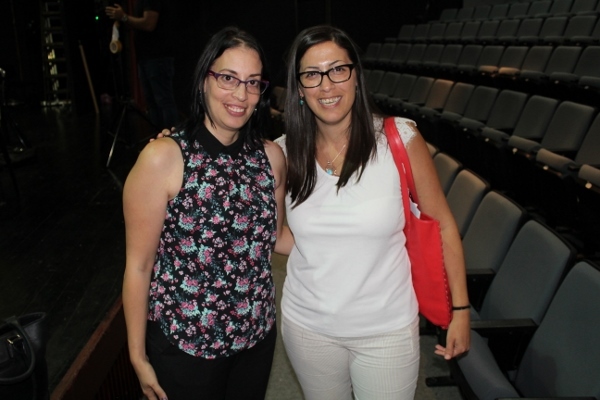 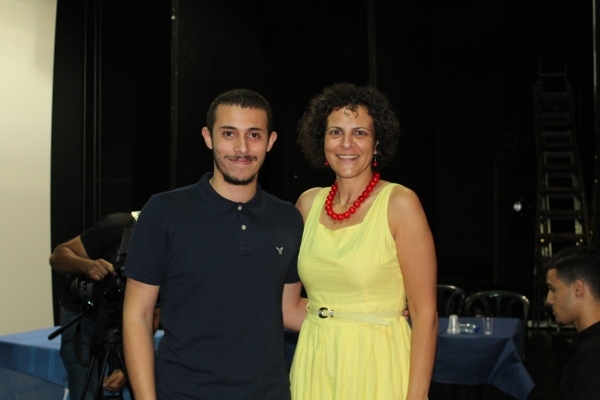 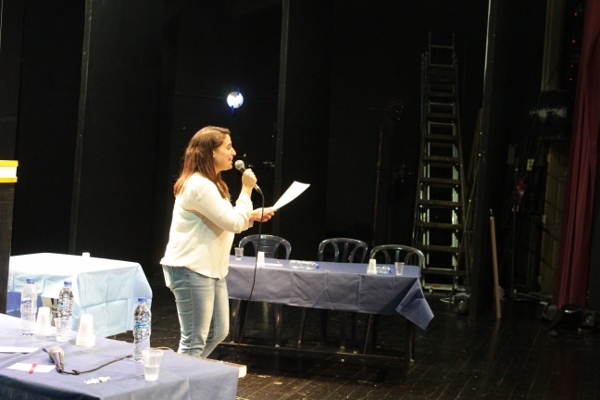 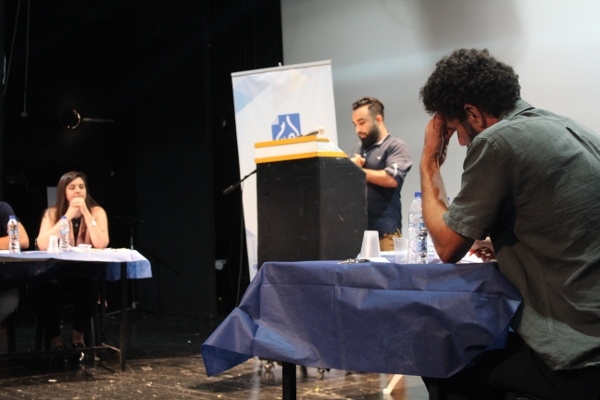 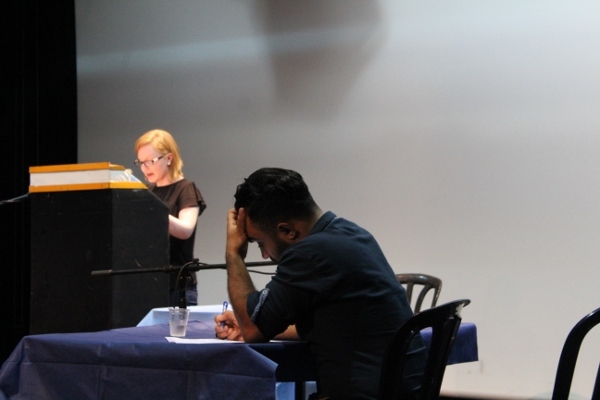 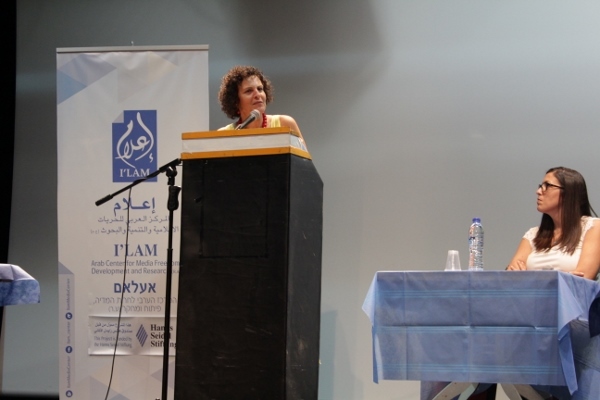 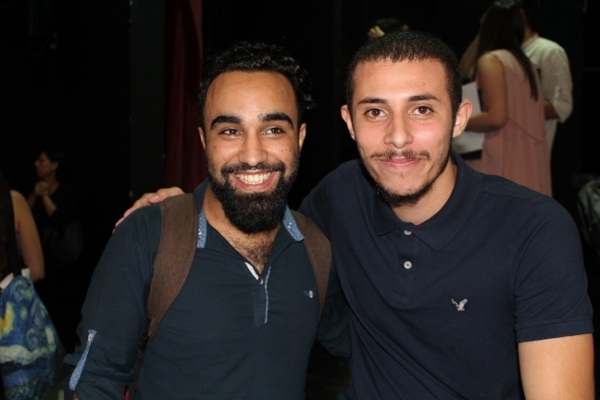 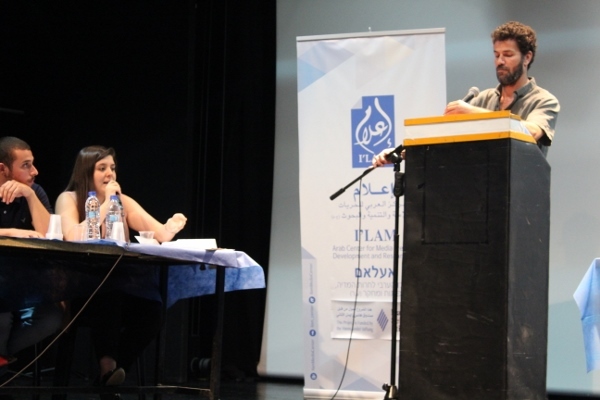 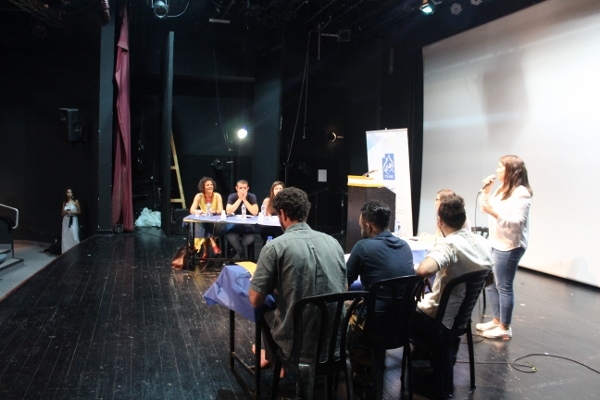 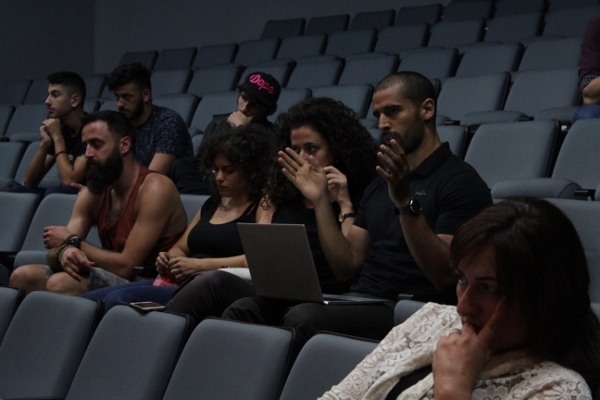 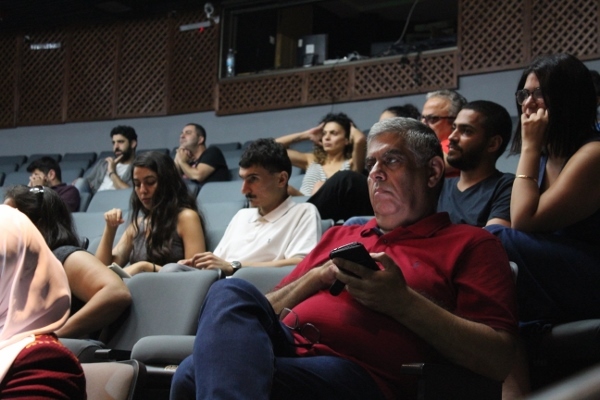 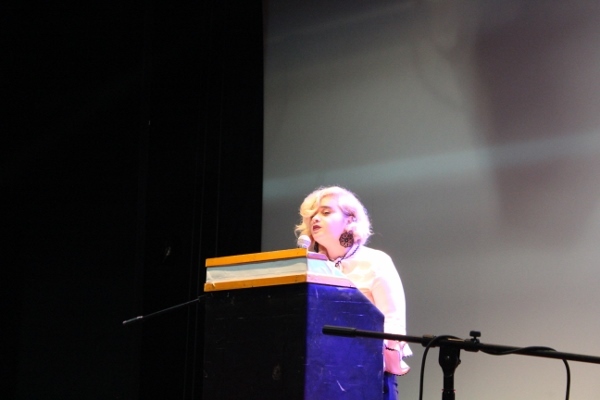 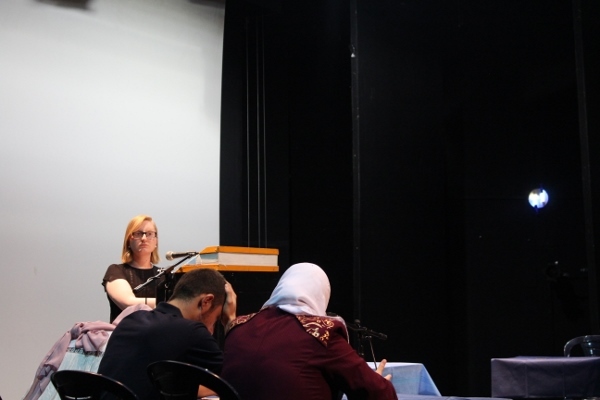 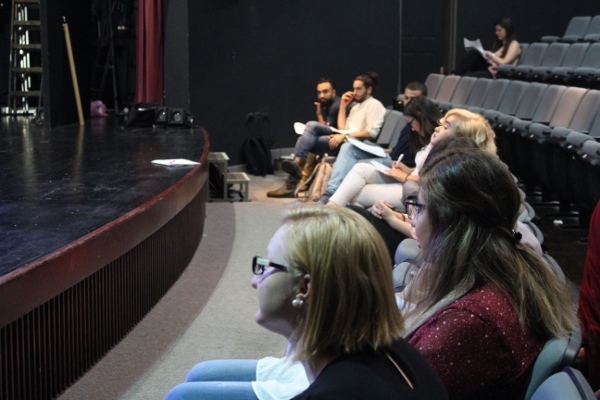 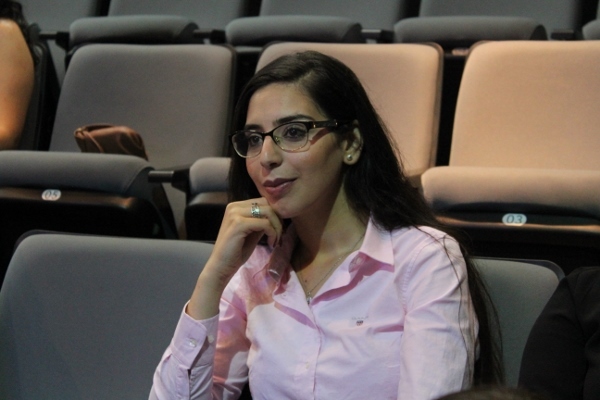 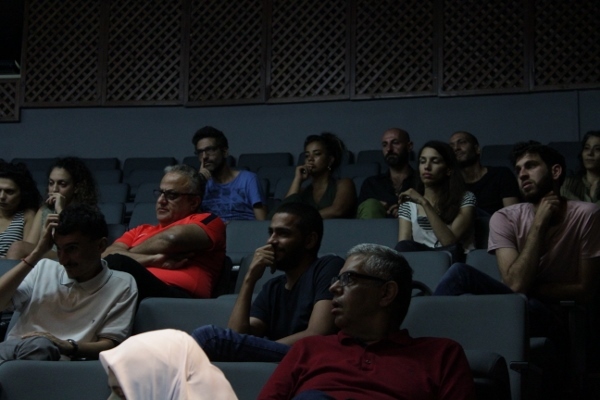 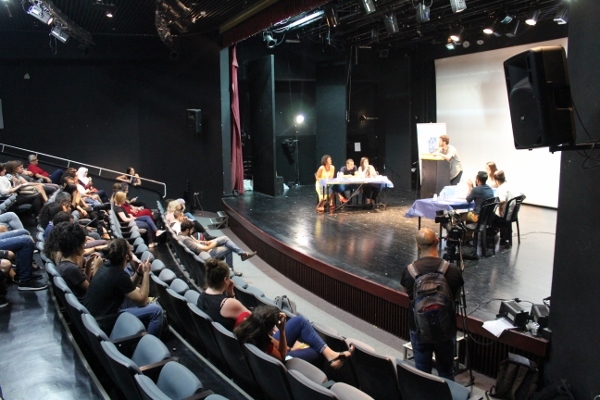 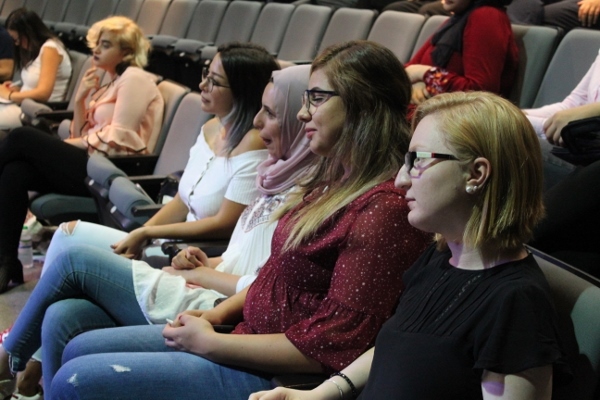 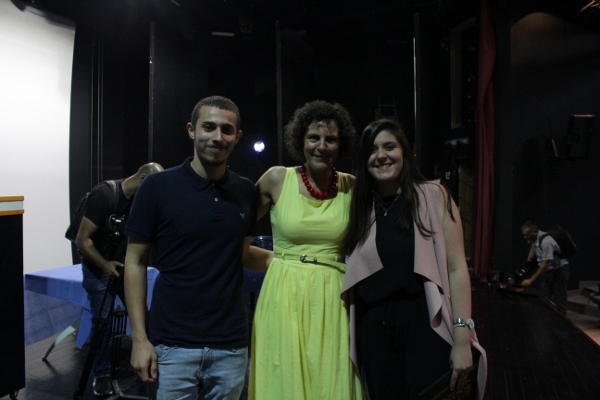 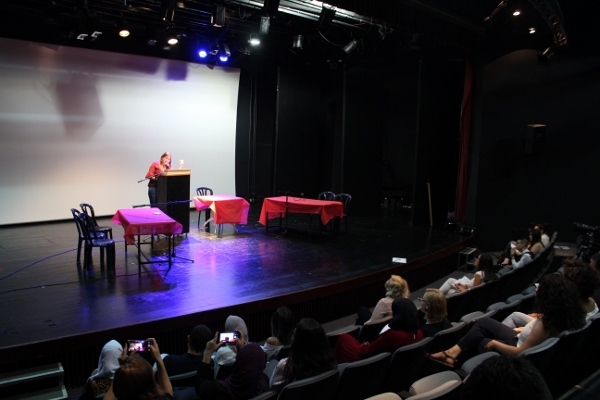 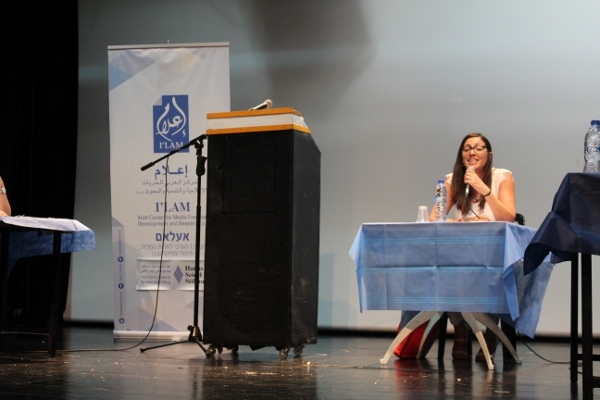 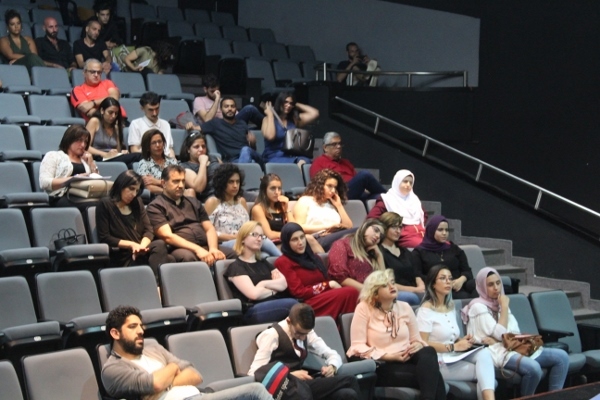 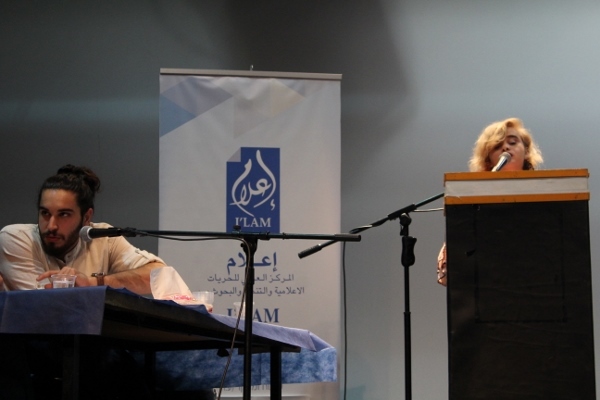 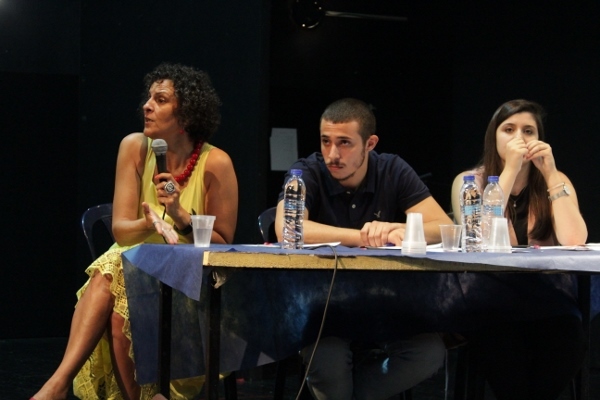 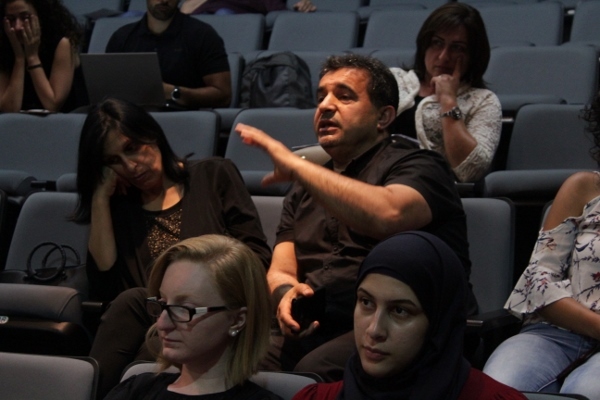 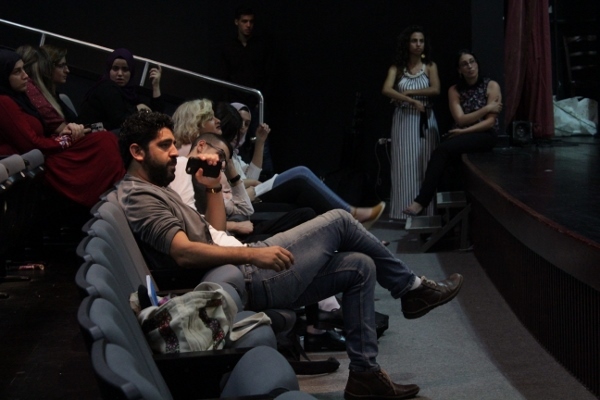 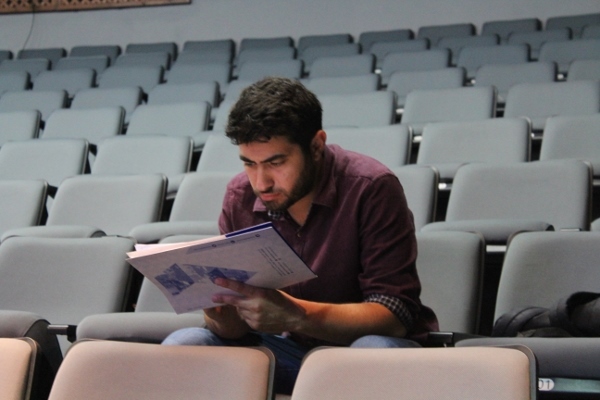 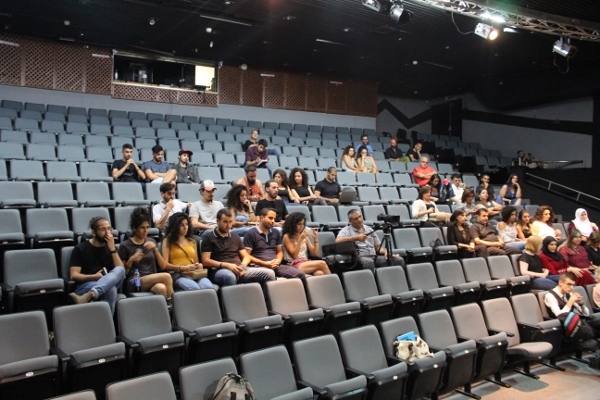 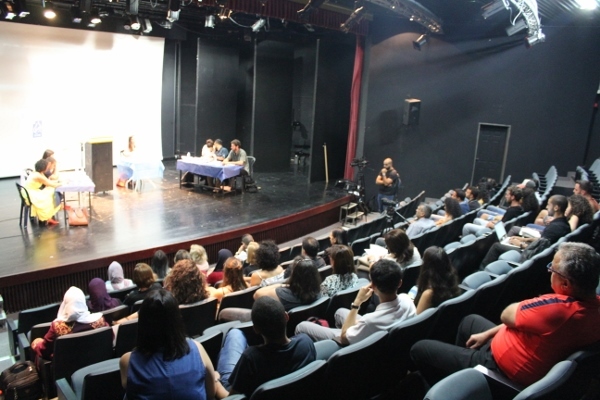 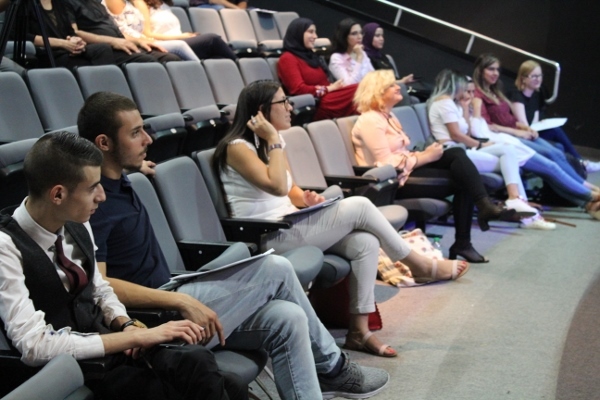 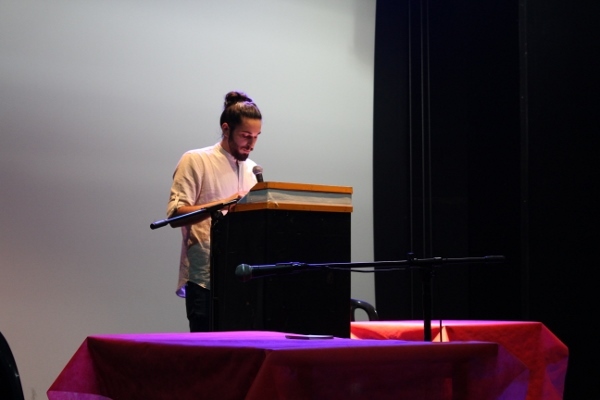 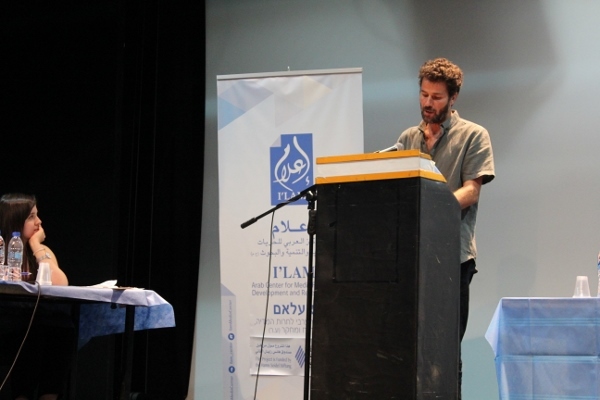 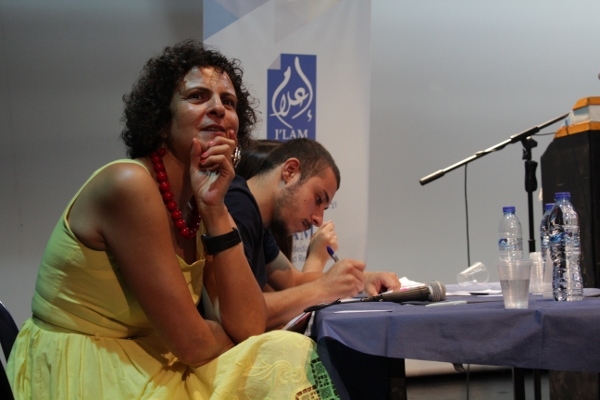 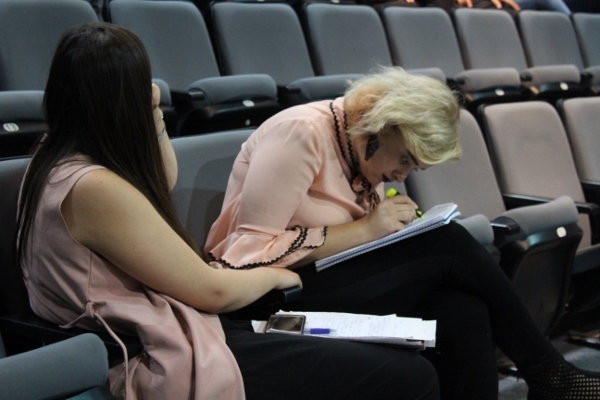 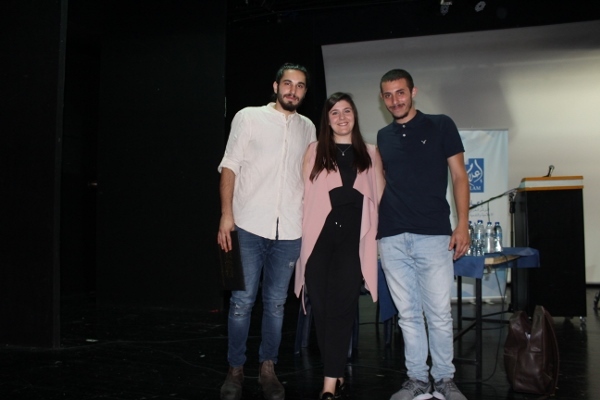 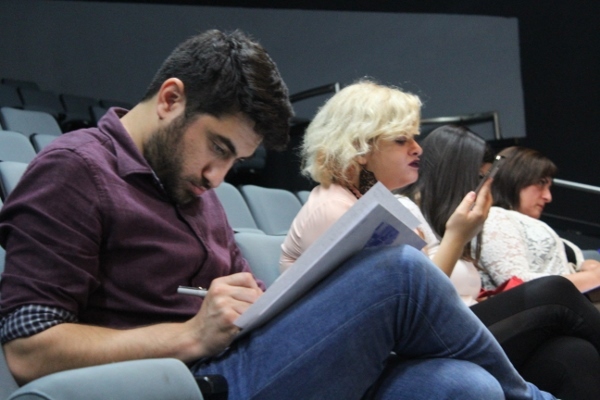 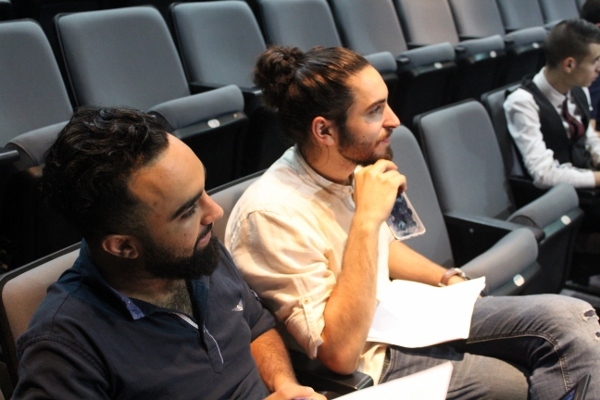 On Thursday, July 5th, the Arab Center for Media Freedom Development and Research, with the support of the German Hanns Seidel Foundation, organized a cultural event at the Al-Midan theatre in Haifa to mark the end of the center’s Young Leadership Program. 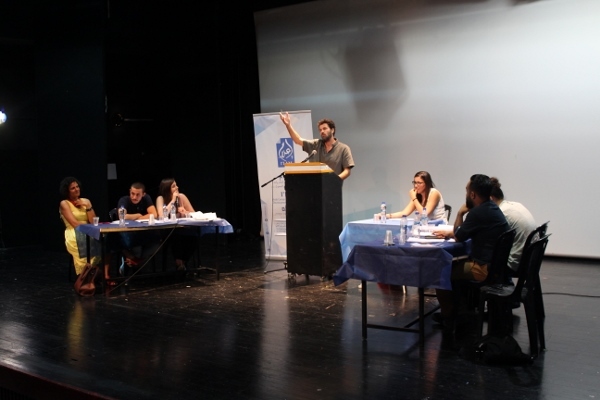 As part of the event, a debating workshop was held in which the fifteen participants in the program had the opportunity to make use of the skills acquired during the previous five-month training. 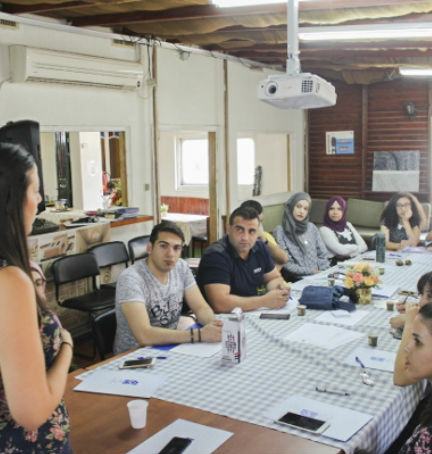 The training was designed to improve the participants’ leadership, interview and simulation skills. 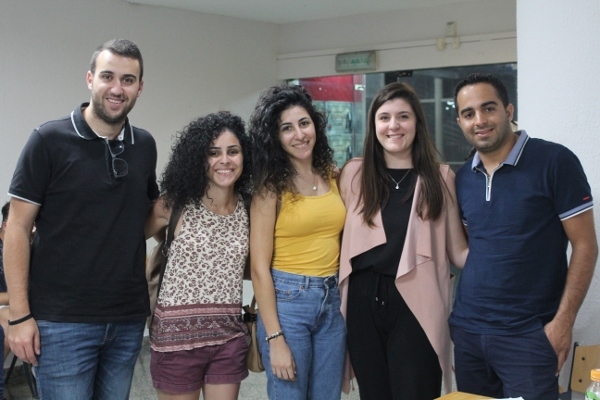 It featured dozens of meetings, trainings and workshops, as well as several public speaking competitions supervised and evaluated by a group of renowned experts in preparation for the final competition in Haifa. 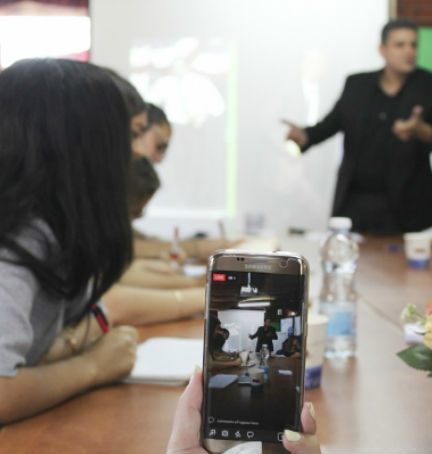 During the training the participants learned new leadership strategies, became acquainted with public speaking and improved their skills in the management of simulations. 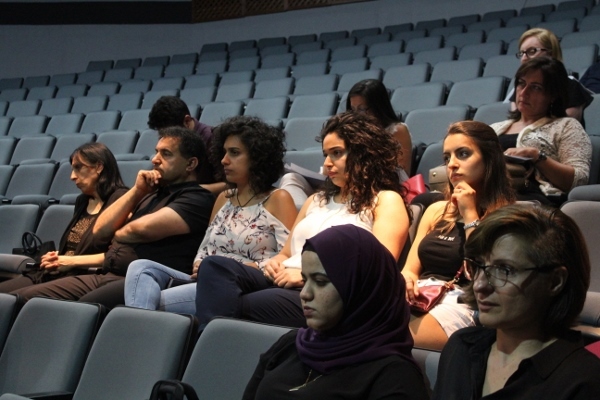 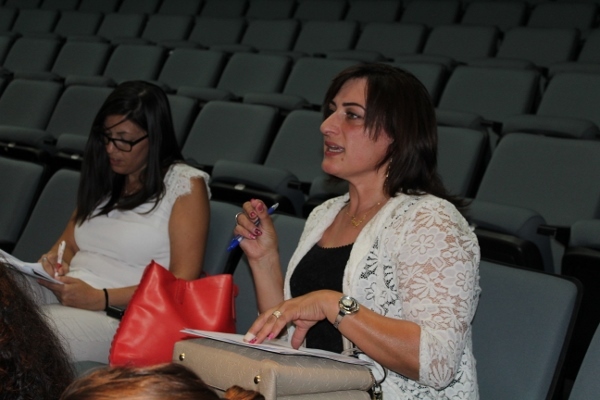 The training was accompanied by several discussions and debates on social issues and problems. 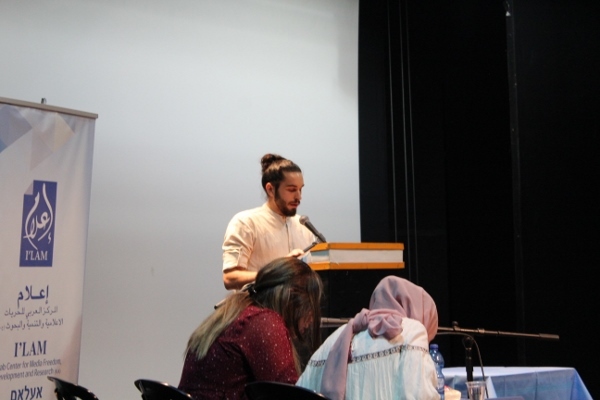 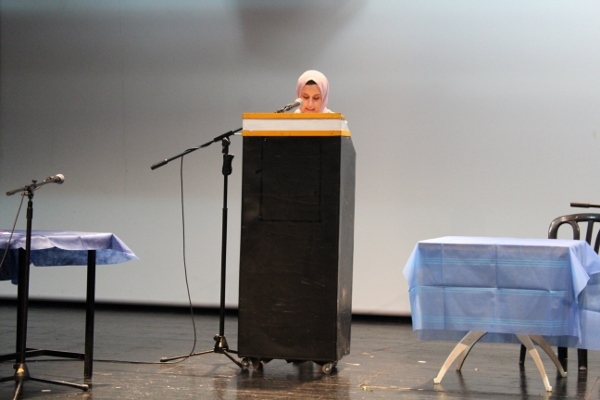 Ali Zubaidat won the first place in the overall classification, which included four different public speaking and debating competitions, while Bashar Ali came in second. 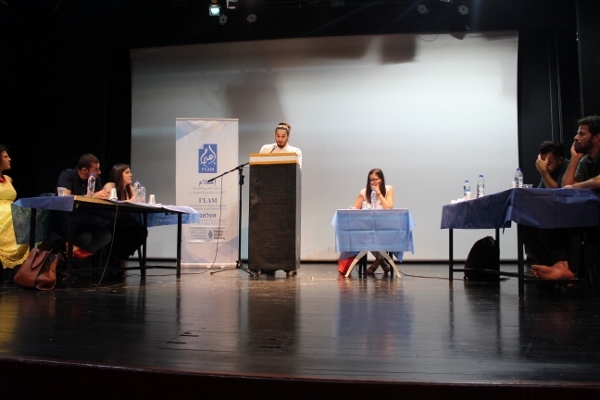 The third place was won by Sirine Hamed. 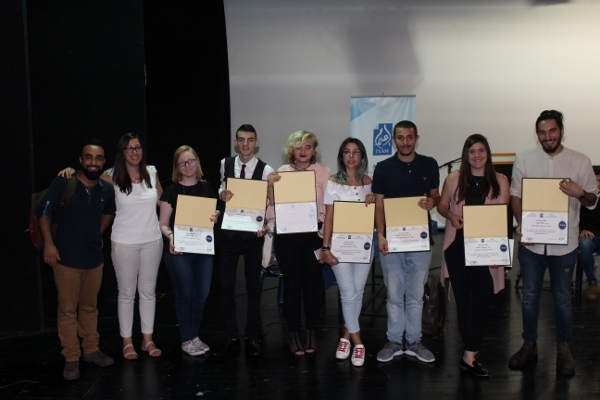 All winners were awarded with valuable financial grants. 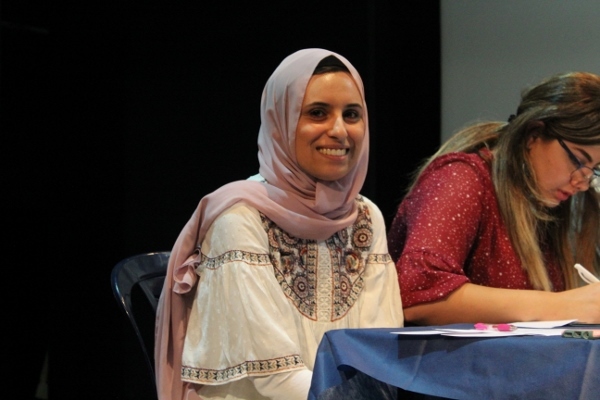 The program of the event was varied, interesting and featured different interventions including an opening speech by the Young Leadership Project Coordinator Saja Abu Fanni. 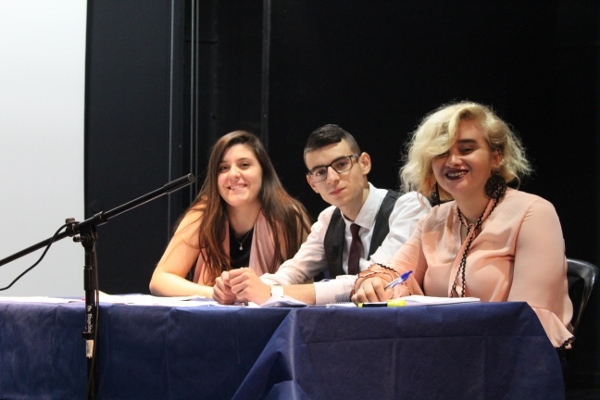 The event began with individual public speeches of the Young Leadership Project where social and political issues were addressed and discussed critically with a view to shedding light on relevant societal challenges. 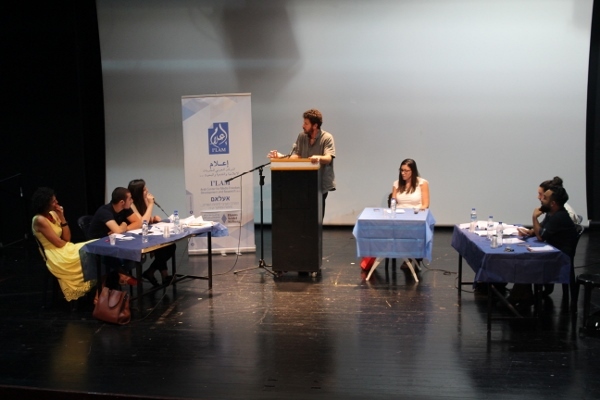 The public speeches of the participants were evaluated by a professional judging committee composed of the debate instructor Najwan Birkdar, Dr. Rawia Barbara and the activist Majd Kayal. 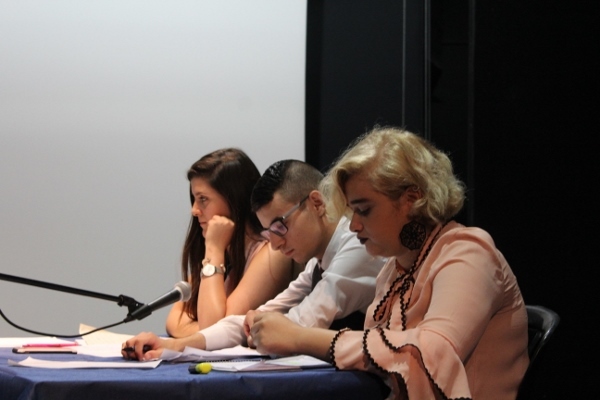 The three experts evaluated the performance of the participants in accordance with a set of professional and objective criteria. 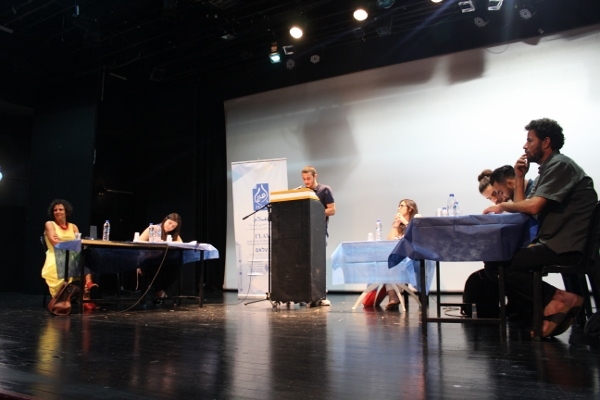 The second part of the event comprised a debate competition following the Karl Popper debate format. 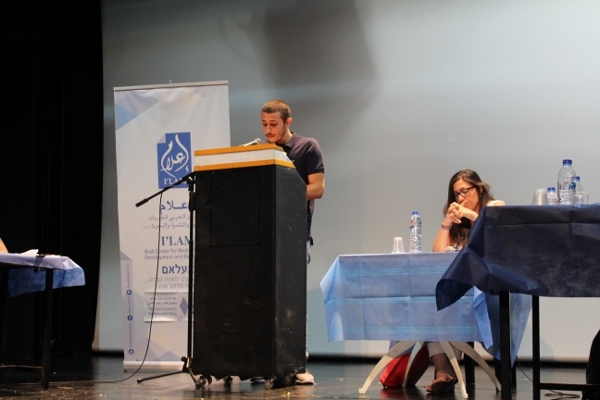 The views of the affirmative and negative teams on the question "Should the joint list continue as one bloc in the next elections?" 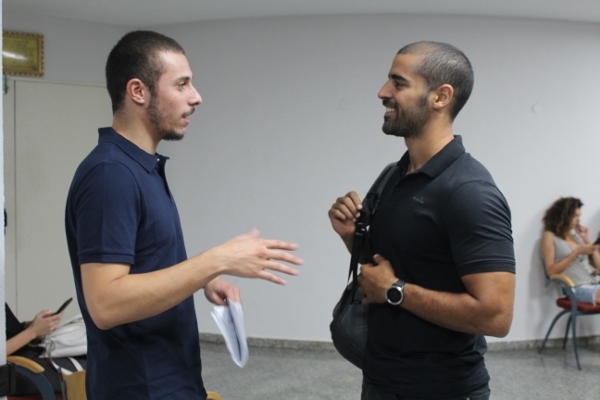 were thoroughly discussed and contrasted. 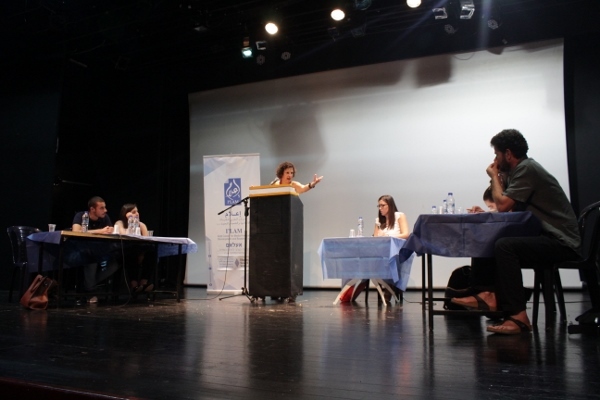 Moreover, a second debate took place addressing whether the presence of Arab parties in the Israeli parliament is still desirable given the current political situation. 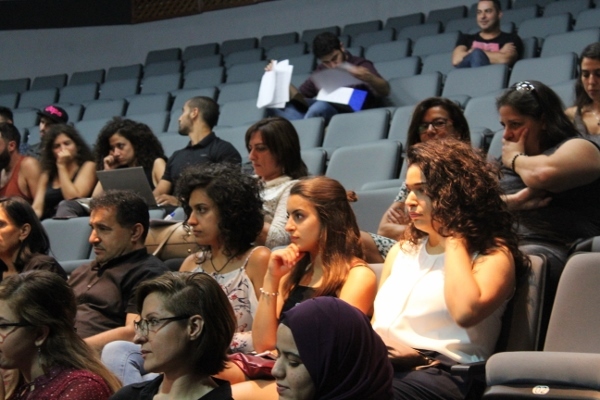 Again, the performance of the participants was assessed according to objective criteria agreed upon by the members of the judging committee. 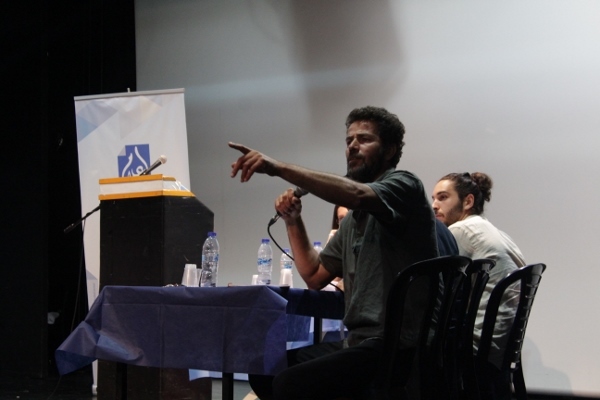 The question guiding the focus and direction of the overall discussion was: "Is it time to reject Israeli funding for cultural and artistic production?" 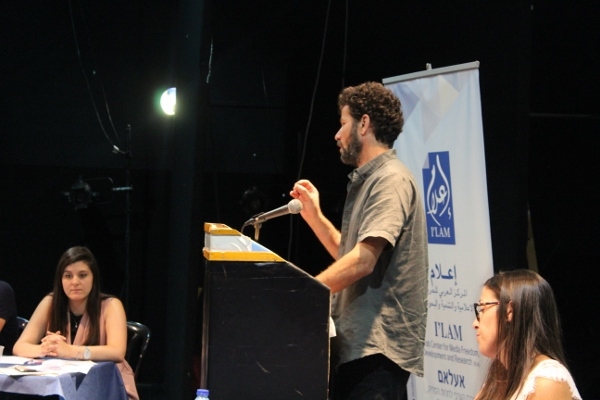 The pro-rejection panel, consisting of Motassem Zidane and Bashar Ali together with actor Saleh Bakri, presented arguments and arguments supporting their position. 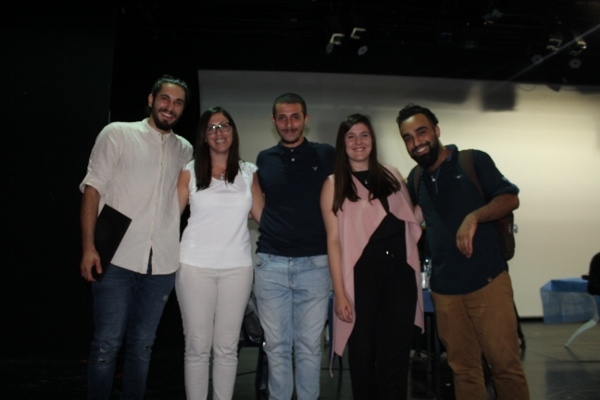 The team opposing such a move was composed by participants Ali Zubaidat and Sirine Hamed that, together with director Suha Araf, made claims and developed arguments to defend the preferability of continuing previous funding practices under the current circumstances. 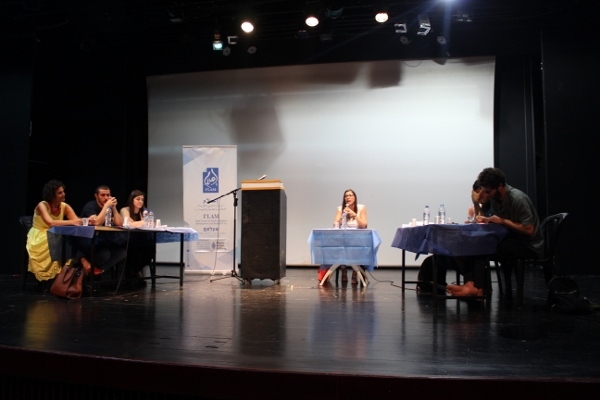 The debate constituted an attempt to discuss an important question in the current political situation, but the views expressed in it did not necessarily reflect the personal views of the contestants. 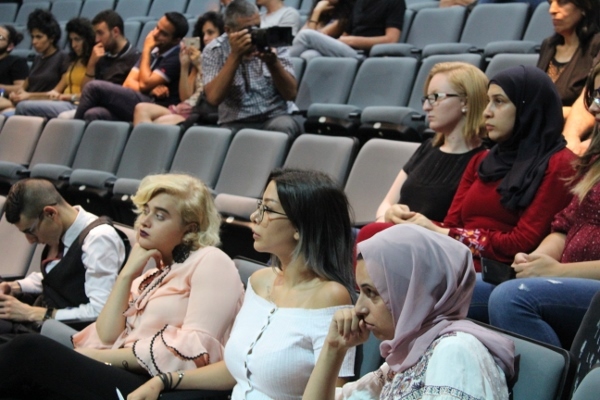 Moreover, the discussion’s design enabled the diverse audience present at the event to also express their thoughts and provide valuable insights. 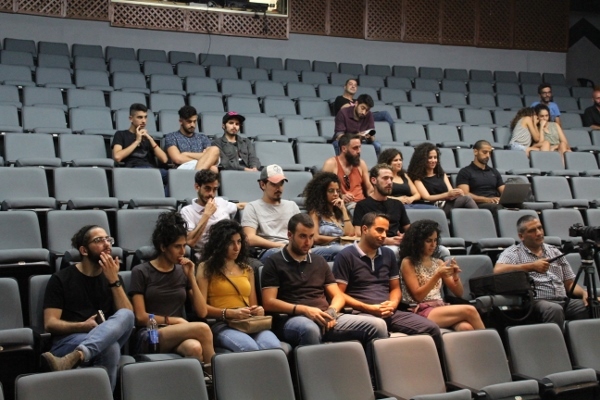 At the end of the evening and in the presence of both the participants and a part of the audience, the names of the winners of the four different competitions that took place during the session were announced and certificates of participation were distributed to all participants of the project. 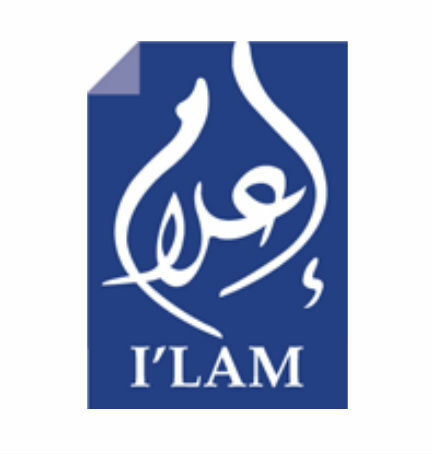 I’lam reaffirms its commitment to continue its work with young people and to foster an open and productive dialogue with the youth, supporting and collectively empowering them through future projects in this and other fields.